23 Nov 2018 --- The growing prevalence of Type 2 diabetes around the globe will lead to insulin shortages, a Lancet study has warned. Driven by unhealthy diets, lifestyles and obesity, rates of Type 2 diabetes are on the rise, particularly among children and the African, Asian and Oceania regions. The Lancet findings underscore the importance of tackling barriers to the insulin market, as well as the need for alternative treatments and measures to curb the condition’s incidence. The current Type 2 diabetes rates reflect that over 20 percent more insulin will be needed to effectively treat Type 2 diabetes in the next 12 years, but without major improvements in access, insulin will be beyond the reach of around half of the 79 million adults with Type 2 who will need it in 2030, according to the study published in The Lancet Diabetes & Endocrinology journal. “Insulin is likely to maintain its place as a crucial therapy for Type 2 diabetes, and as such a sufficient global supply needs to be estimated and ensured,” says Dr. Hertzel Gerstein from McMaster University, Canada. The Lancet findings come alongside data from the latest UK National Diabetes Audit for 2016-2018, which reveals that nearly 7,000 children and young adults under the age of 25 have Type 2 diabetes – which is about ten times the number previously reported. Type 2 diabetes is caused by the body not producing enough insulin, or by the body’s cells not responding to the insulin that is present which results in high blood sugar. This can be controlled by diet, antidiabetic drugs or insulin, or both. According to NHS Digital figures, diabetes prescriptions are costing the British NHS most than £1 billion (US$1.3 billion) a year. 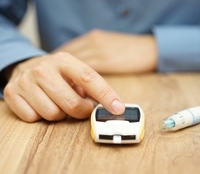 The Lancet findings underscore the importance of tackling barriers to the insulin market, and they are of particular concern for the African, Asian and Oceania regions, where diabetes levels are rising rapidly and increasing amounts of insulin are expected to be needed, leaving large potential for unmet insulin needs if the market remains at the current level. The study indicates that worldwide, the number of adults with Type 2 diabetes is expected rise by more than a fifth from 406 million in 2018 to 511 million in 2030, with over half living in just three countries –- China (130 million), India (98 million) and the USA (32 million). At the same time, global insulin use is projected to rise from 526 million 1000-unit vials in 2018 to 634 million in 2030 and will be highest in Asia (322 million vials in 2030) and lowest in Oceania (4 million). Compared to current levels of insulin access, if universal global access were achieved, the number of people with Type 2 diabetes worldwide using insulin in 2030 would double from around 38 million, 7.4 percent of all people with Type 2 diabetes, to 79 million people, 15.5 percent. The authors warn that strategies to make insulin more widely available and affordable will be critical to ensure that demand is met. “These estimates suggest that current levels of insulin access are highly inadequate compared to the projected need, particularly in Africa and Asia, and more efforts should be devoted to overcoming this looming health challenge,” says Dr. Sanjay Basu from Stanford University, the USA who led the research. Indeed, in the African region, the rising rates would lead to an increased insulin use 7-fold from around 700,000 people with Type 2 diabetes at current levels of access to over 5 million, while universal access in Asia could more than double numbers of insulin users from 21 million to 48 million people. The rates of obesity are set to rise over the next 12 years, due to aging, urbanization and associated changes in diet and physical activity, Basu continues. Government initiatives to make insulin available and affordable are therefore needed. However, there have been notable scientific gains regarding the treatment of Type 2 diabetes without insulin. Researchers at the Amsterdam UMC have come up with a method to ensure that diabetes Type 2 patients can avoid needing to undergo insulin therapy. The method involves duodenal mucosal resurfacing (DMR), in which the mucous membrane in the small intestine is removed so that a newer one can grow in its place. According to Jacques Bergman, Professor of Gastroenterology at Amsterdam UMC, the vast majority of the patients who have undergone the DMR procedure saw a significant improvement in their glucose regulation and, therefore, did not need to move from oral medication to insulin therapy. A reduction in patients needed insulin would lead to a reduction in the amount of insulin needed globally. However, the Dutch researchers highlight that there a lot more scientific research will need to be conducted before the method can be upscaled to a level that will allow for the treatment of thousands of diabetic patients. And if it were to become available, the treatment would likely apply to patients who have not yet been prescribed insulin treatment. As the number of diabetics continues to expand globally, a high level of attention continues to be placed on the disease. It was World Diabetes Day last week, which sought to raise awareness of the effect diabetes has on the family, with a particular focus on prevention and management of the disease. A key takeaway was that four in five parents have trouble recognizing the warning signs of diabetes, according to research by the International Diabetes Federation (IDF).